ONGC Nazira Recruitment 2017: 782 Nos. Apprentices Vacancies- Last Date 03-11-2017. - Jobs4NE : Jobs in Assam and North East India. 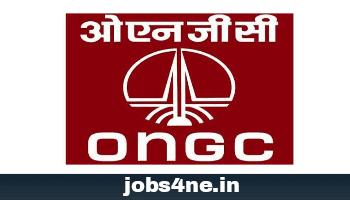 ONGC Nazira Recruitment 2017: 782 Nos. Apprentices Vacancies- Last Date 03-11-2017. Applications are invited from candidates meeting the following qualifications for engagement as Apprentices under Apprentices Act 1961/1973 (as amended from time to time) in the trade/ disciplines mentioned below. The candidates can apply from 16-10-2017 to 03-11-2017. Total no of posts: 782 Nos. Qualification: 12th class examination passed under 10+2 system of education with Commerce & Maths. Full time regular B.Com Graduates. 2. Cabin/ Room Attendant: 6 Nos. Qualification: Passed 10th class examination under 10+2 system of education or its equivalent. Trade Certificate in Cabin/ Room Attendant. 3. Computer Operator and Programming Assistant: 15 Nos. Qualification: Trade Certificate in COPA trade. 4. Draughtsman (Civil): 4 Nos. Qualification: Trade Certificate in Draughtsman (Civil). Qualification: Trade Certificate in Electrician trade. 6. Electronics Mechanic: 4 Nos. Qualification: Trade Certificate in Electronics Mechanic trade. Qualification: Trade Certificate in Fitter trade. 8. House Keeper (Corporate): 10 Nos. Qualification: Passed 10th class examination under 10+2 system of education or its equivalent. 9. Information Technology and Electronics System Maintenance: 14 Nos. Qualification: Trade Certificate in IT&ESM trade. Trade Certificate in Electronics Mechanic Trade. 10. Instrument Mechanic: 30 Nos. Qualification: Trade Certificate in Instrument Mechanic. 11. Laboratory Assistant (Chemical Plant): 29 Nos. Qualification: 3 Years Full Time BSC in Physics/ Chemistry. Trade Certificate in Laboratory Assistant (Chemical Plant). 12. Library Assistant: 2 Nos. Qualification: Passed 12th class examination under 10+2 system of education or its equivalent. 13. Machinist/ Turner: 19 Nos. Qualification: Trade Certificate in Machinist trade/ Turner Trade. 14. Mechanic (Motor vehicle): 23 Nos. Qualification: Trade Certificate in Mechanic Motor Vehicle trade. 15. Mechanic Diesel: 149 Nos. Qualification: Trade Certificate in Mechanic Diesel trade. 16. Refrigeration and Air Conditioning Mechanic: 2 Nos. Qualification: Trade Certificate in Mechanic Refrigeration and Air Conditioning. 17. Secretarial Assistant: 104 Nos. Qualification: Passed 12th class examination under 10+2 system of education or its equivalent. Trade Certificate in Secretarial Assistant. 18. Store Keeper: 10 Nos. Qualification: Trade Certificate in Surveyor trade. 20. Welder (Gas & Electric): 53 Nos. Qualification: Trade Certificate in Welder trade. Age Limit: Applicants should not be less than 18 years of age as on 01-11-2017. Upper age relaxation for selected categories will be as per rules. Nazira, District- Sivasagar, Pin- 785685. For more details pls download the official advertisement.